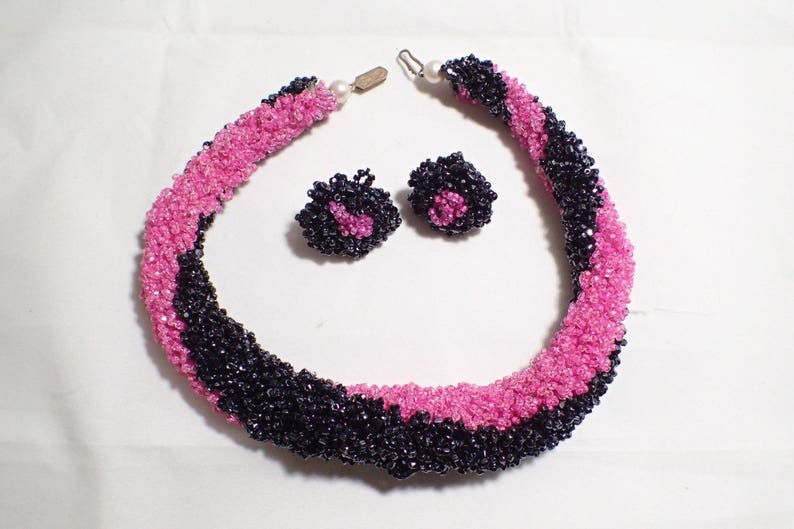 This fabulous hot pink and black woven seed bead set has a 14" necklace with 1" screw back earrings. The necklace is about 1" thick at the center and tapers down to about 1/2" at the end with both ends having a faux pearl anchor. The set is in very good condition with no pulls or loose strands.